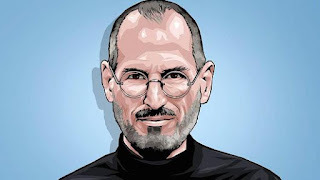 Jobs was Henry Ford a century later, and deserves praise and criticism in approximately the same proportions that were heaped upon old Henry, and for some of the same reasons. Henry's reply to someone who asked him what color he could get his new car in could well have been spoken by Steve: "Any color, as long as it's black." However this may be, it does not seem to me that pharma mergers and layoffs have been driven by consolidating great success into monopolies. Rather, they've been driven trying to find a winning partner before the money runs out. The problem isn't lack of vision, but survival in any form. And ironically, the unpleasant strategies which you excoriate – namely, emphasis upon sales, marketing and financial manipulation – might be the best an enterprise with money in the bank but no light on the horizon can come up with either to keep the game going long enough for the scientists to roll the dice once more on a drug candidate they hope will be a winner, or alternatively, to purchase a competing enterprise which seems to have a greater chance of doing so. Not that the quote isn't true, but isn't it obvious? It's exactly what happens at nearly every company. At the beginning, the question is "how do we make money?" and the answer is clear: design something that people want. Once you start making money it's all about how to make more, which means getting your product to the people who want it. Eventually everyone who wants it has it already, so your sales and marketing folks try to convince people who don't want it that they should want it. That proves futile, and unless you've designed something else people want, the decline begins. This could be applied to the Dow/Dupont disaster as easily as the pharmaceutical industry. Jobs was wrong, of course. You know how you know? IBM was founded in 1911 and made typewriters. It's still going strong. Apple was founded 66 years later, made a big splash with the iMac, then nearly died, was resurrected by Jobs and the iPod, and now (if APPL is any indication) appears to be sinking into expensive mediocrity after Jobs' death. Similar stories can be told about other companies headed by a focus on engineering and innovation, like HP and DEC, or which are the brainchild of one brilliant megalomaniac obsessive. IBM has never been (and likely never will be) the supernova of innovation that was Apple under Jobs' personal direction, but on the other hand, their G-class star keeps trundling along, paying wages and returning value to shareholders, decade after decade. Which company will still exist in 2115? I would bet on IBM, although God knows what they'll be selling. Fact is, brilliant innovation is very hard and ipso facto very rare. You can't plan on it. You can't build a big business on it. You can certainly nourish it (as IBM does with Yorktown Heights, as Bell did with Bell Labs, et cetera) and you can certainly be sure you take advantage of it when it pops up. But if you're continually chasing the Next Big Thing, what you end up doing is failing to serve the ordinary needs of ordinary customers -- the kind of thing salesmen never forget to do, in their boring pursuit of this year's bottom line -- and when you have an extended dry spell, you evaporate. Or, worse, you become so disconnected from what the market really wants, you produce something truly brilliant that no one actually wants to buy. NeXT, Iridium, Laserdisc, pretty much everything Dean Kamen has invented. History is full of brilliant flops. That doesn't mean you want a company driven by morons who don't understand the technology they're selling. That would be stupid, just as stupid as if they didn't understand basic accounting or economics. But you also never want a company driven by people who are obsessed with originality and technical invention, because that way lies ruin as well. It's disastrous and stupid when businessmen fail to understand the importance of technical brilliance, of scientists and engineers. It is equally dumb when scientists and engineers fail to understand the importance, rarity and brilliance of first-class business leadership. They're different skillsets. It's very rare to find anyone with both, so generally you need strong cooperation and mutual appreciation. If anything, it's the latter that marks out the successful and long-lived firm. If you work for an outfit where the sales people dismiss the technical people as geeks and the technical people dismiss the sales people as empty suits -- look out.